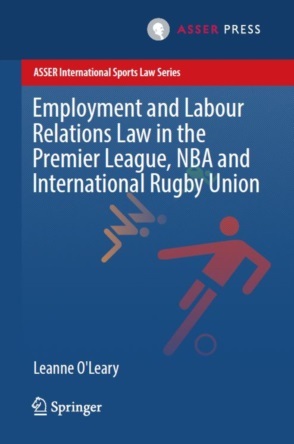 Editor’s note: This short book review will be published in a different format in the International Sports Law Journal, due to its timeliness we decided to reproduce it here. This book looks back at the work of the Independence Governance Committee (IGC). This Committee, constituted in 2011, had as primary objective to drive a reform process of FIFA initiated by its President Sepp Blatter. After ordering from the Swiss anti-corruption expert Mark Pieth, a report on the state of FIFA’s governance, FIFA decided to mandate him with the leadership of a consulting body composed of a mix of independent experts and football insiders, which would be accompanying and supervising the internal reform process of FIFA. The IGC was officially dissolved at the end of 2013, after completing its mandate. The book is composed of eight chapters, written by former members of the IGC, including former chairman Mark Pieth. 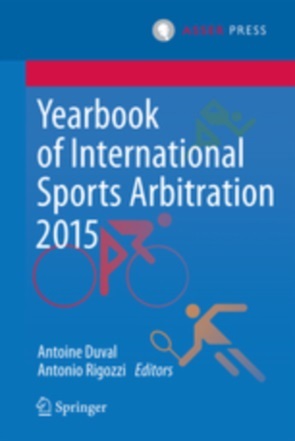 In addition to the chapters, it includes the different reports (available here, here and here) submitted by the IGC to FIFA across the years. In the words of Pieth, this account is “fascinating because it gives a hands-on, realistic perspective of the concrete efforts, the achievements and the remaining challenges in the struggle for the reform of this organization [FIFA], avoiding the usual glorification or vilification.” This review will first summarize the core of the account of the FIFA reform process provided by the book, before critically engaging with the outcome of the process and outlining the deficiencies that culminated on 29 May 2015 with the re-election of Sepp Blatter as FIFA president. In his introduction to the book, Mark Pieth provides a compelling account of the reasons why FIFA needs a reform process in the first place. He talks of the ““old boys” suddenly becoming rich” and of the lack of “public accountability” of FIFA. This narrative is similar to the one provided by Guillermo Jorge later in the book. He highlights the fact that FIFA relies on a “solide patronage network”, creating “incentives for member associations to engage in rent seeking – which means: spend time and efforts in obtaining such funds – and, at the same time, creates incentives for incumbents to request the favour back at the ballot box.” Jorge’s detailed account of the institutional features of FIFA underlying this “patronage system” is in itself of great value. The members of the IGC are not all positive about the changes triggered by the reform process engaged by FIFA. For Leandro Grosso, the member of IGC representing FIFPro, the football players’ union, the reform is clearly a failure. Pieth himself is cautious enough to remind in his introduction “that pure self-regulation is a slow and uncertain process.” He insists, that “[t]o be successful it has to change the culture of the whole organization, it needs to reach the associations in particular and it has to permeate the everyday life of the organization.” Yet, throughout the book, there is still a clear sentiment that the FIFA reform process was a success. Indeed, Pieth considers that “[w]ith the new independent chairs in place, a first essential step has been taken.” He adds: “it must be acknowledged that, overall, the last three years have been rather successful in bringing the regulations up to a certain standard.” As another IGC member puts it “[t]he IGC has largely succeeded in its efforts to reform FIFA’s governance.” After the reform, “there are far greater systems and controls and far greater ethical standards within FIFA.” In short, “FIFA is today much closer to public and corporate governance standards than it was two years ago.” Is this true? The IGC’s members’ optimism might go a bit too far. The recent events surrounding the investigation of the bidding process for the World Cup 2018 and 2022 seem to call for a critical assessment of the scope of progress made. Independent investigatory personnel make little difference if a final report is later shelved without allowing for external scrutiny of its findings as happened with the by now infamous Garcia report on the attribution of the 2018 and 2022 World Cup. Similarly, having a competent check on FIFA’s compensation policy is of little use if those rigorous accounts are not made freely available for journalists and the public to peruse them. The institutional changes celebrated by the members of the IGC are not negligible, but to gain real currency they must be coupled with a duty of transparency and the new Committees must be able to dispose of their findings independently. The resignation of Michael Garcia, who was deemed a token figure of the success of the reforms supported by the IGC, is there to remind us that even the, allegedly, best individuals are powerless if the institution is in a position to block their work. With his scorecard (see also here and the response of FIFA) on the reform process, Roger Pielke had convincingly quantified the limited nature of FIFA’s reforms. His findings are now corroborated in practice; even the few reform proposals FIFA actually implemented did not fundamentally change the institution. This is critical stance is shared by a recent report on ‘The reform of football governance’ adopted by the Parliamentary Assembly of the Council of Europe, urging FIFA to reinforce transparency and accountability across the board. The IGC’s members were probably blinded by Blatter’s apparent goodwill. In fact, Blatter may even have held these good intentions, though his new stint at the head of FIFA is there to remind us that however enlightened, he remains a power-hungry monarch. Moreover, Blatter is truly accountable to only one forum: the FIFA Congress. Thus, it is doubtful that the “patronage system” put in place to control it will go away without resistance. In fact, Blatter would probably have never been re-elected in 2015 if he had imposed a radical clean up of past (and maybe present) FIFA practices relating to the use of development funds and vote buying. In that regard, the recent decision to give to the FIFA Congress the responsibility for the election of the host state of the FIFA World Cups is a potentially dangerous move that could enhance the risk of vote-buying. It shifts even more the decisive power away from the biggest Confederations to the small peripheral FAs. All in all, it is naturally difficult for the members of a body that was invested with the responsibility to guide FIFA’s latest reform to recognize their failure to really change the way FIFA works. Some members of the IGC have done so; Alexandra Wrage resigned in protest against FIFA's “rotten reform record”. Even though one can criticize the independence of the IGC, the IGC’s members were probably genuinely committed to changing FIFA. But the main lesson one can draw from their very limited success in doing so is that sheer commitment and expertise is not enough to transform an institution grounded on a political system that promotes inertia and to some extent corruption. The illusion of an enlightened reform of FIFA driven by insiders, especially by Mr. Blatter, has been shattered. In the case of FIFA, a revolution is needed, heads need to roll, and a radically new political system needs to be put in place. Those are not easy tasks. Triggering a revolution will take time and energy. It will involve the appliance of extreme political pressure, either through the open threat of secession of UEFA or through criminal proceedings initiated by public authorities. In the end, Pieth himself is right: “self-regulation alone rarely works”. This points to ‘[t]he responsibility of the host country’. The “lax regulatory attitude” of the Swiss government is certainly a key disincentive to a true FIFA reform. It is Switzerland’s duty to “define the minimum standard for organizations, in particular in the areas of democracy, accountability and financial controls.” As the recent raid by the Swiss Police has proven, if there is the will to intervene, there is no insurmountable legal obstacle to do so. It is true, as many members of the IGC argue, that States are not in an easy position. The power of the FIFAs and IOCs of this world is extremely strong. Through their exit option, they can blackmail national States, and in particular Switzerland, into adopting an accommodating stance. But, it is simply not true that “ISOs [International Sporting Organisations] have extensive privileges and immunities, and are not governed by national laws – so cannot generally be reached by such prosecutors and regulators”, as Lord Goldsmith states. Still, it makes sense that the most far-reaching interventions to date that triggered reforms of Sports Governing Bodies (SGBs) were made by the EU and the US. Both are strong enough to confront the political strength of the SGBs. Hence, the recent indictment of a number of FIFA officials on various criminal grounds in the US might be the first necessary step towards truly reforming FIFA. This book is a valuable testimony of a process that has unfortunately failed to fundamentally change FIFA for the time being. One should not radically undermine the progress done, the new institutions put in place and rules adopted might serve as a basis for an overhaul of FIFA in the future, though for that to happen it will most likely need an assist from the EU or the US. M. Pieth, ‘Introduction’ in M. Pieth (ed.) Reforming FIFA, p.8. In similar terms see M. Hershman, ‘The need for reform’ in M. Pieth (ed.) Reforming FIFA, p.17-18. See for the EU, A. Geeraert & E. Drieskens, ‘The EU controls FIFA and UEFA: a principal–agent perspective’, Journal of European Public Policy, 03/2015. See for the US, R. Pielke, ‘How can FIFA be held accountable?’, Sport Management Review 16 (2013) 255–267.